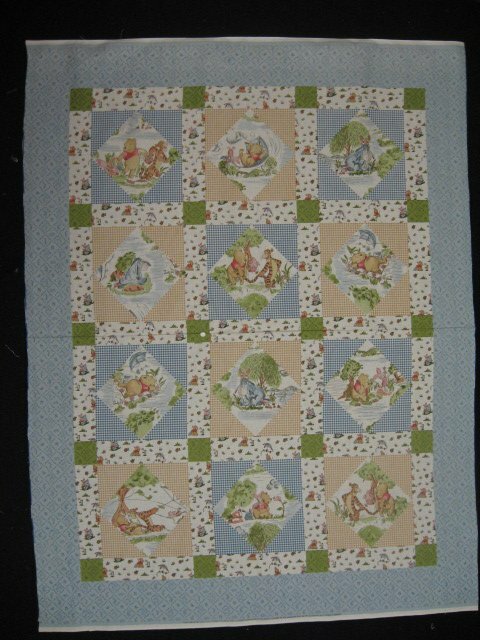 Winnie the Pooh Tigger Piglet and Eeyore Fabric Crib Quilt Panel to sew. 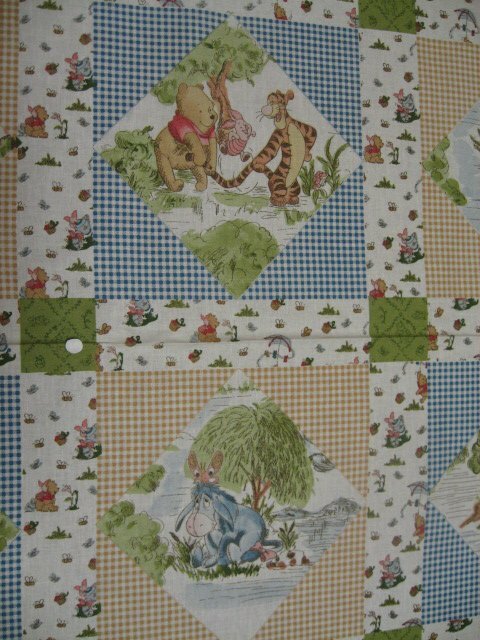 Winnie the Pooh "A day in the park"
Measures approximately one yard - 36" wide by 44" long. This panel has cute characters. 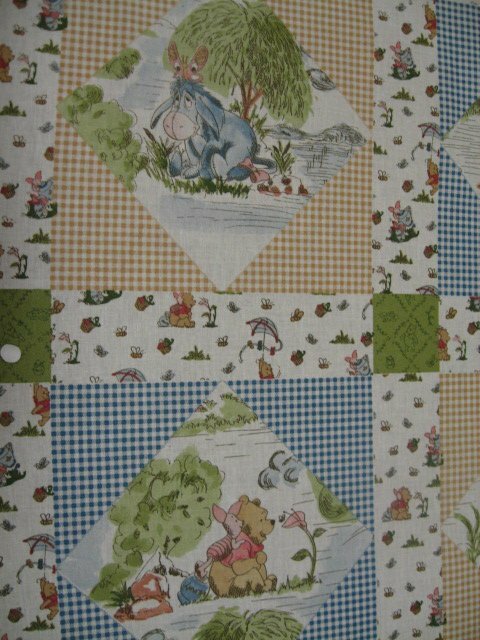 This is easy to quilt. Just add batting and a backing, and stitch around the border.